When you’re looking for a dog, you’re looking for a companion to be with you for at least the next 10 years. While large dog breeds are usually not good choices for people that live in apartment buildings, medium dog breeds can be a good fit for people that would rather not get a toy dog. Plenty of people prefer the extremes, either something very small or very large, but there are a lot of dogs that fall somewhere in between, dogs that will be perfect for a lot of people. 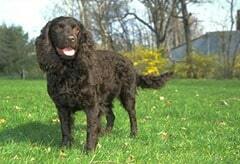 Below you can see a list of medium sized dog breeds. A dog of this size can be a great companion and will make for a fantastic pet, as long as you make sure they are properly raised and trained. This is the same with any dog, no matter of what size, since dogs will not behave properly if not trained to do so, just like you would do with a child. If you have a small yard, a medium dog breed will usually be a good fit in it, though some of them will do just as well in apartments. If they don’t have a yard where they can get some exercise, it’s recommended that you walk them on a daily basis. Dogs that are bored and locked inside the house tend to get destructive. Making sure that your dog gets a daily dose of exercise is a good way to make sure that doesn’t happen. Depending on the amount of grooming you’re willing to do, the amount of attention you can give them and how much space they have at their disposal, certain medium dog breeds will be more appropriate than others for you. Some people want a dog that will be always willing to please and will need attention, while others will prefer a dog that is more independent and will be fine if left alone for longer periods of time. 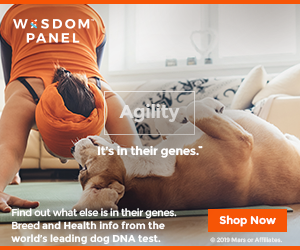 Once you know what your dog should be like, it will be easier to choose one of the medium dog breeds we have listed on this page. Most dogs with a lot of hair also need a lot of grooming. They will shed a lot, so this is one thing you should consider when you’re choosing a dog breed. If he stays outside in the yard, that’s not much of a problem, but if they live in the house they will need to be brushed regularly to minimize the amount of hair you will have to pick up. Browse around the medium dog breeds you see above and decide for yourself which is your dream dog.